Contract manual roller shades are an energy efficient window covering that protects the interior of a building from the strong rays of the sun while decreasing heat radiation. It also provides privacy and can elevate the aesthetics of an architectural design. 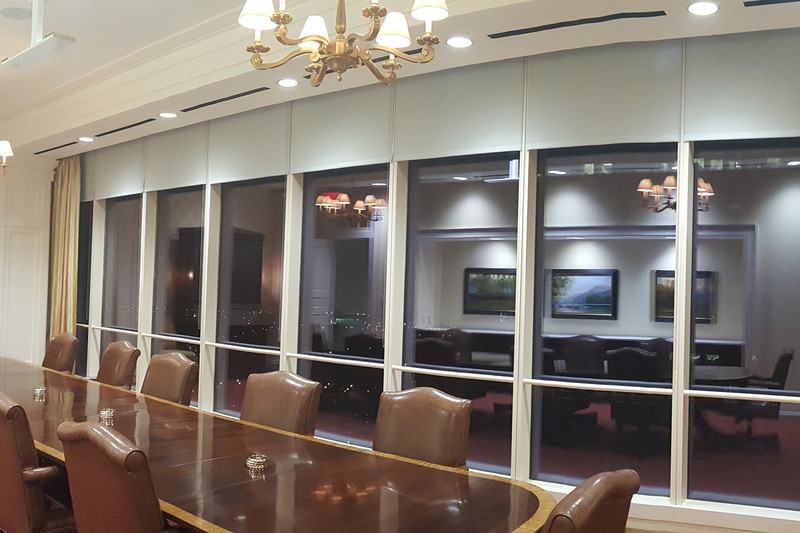 Contract motorized roller shades offer the same benefits as manual shades while providing advanced technological operating systems. They can be controlled via wall-mount switch, handheld remote and sun/shadow sensors which allow the shades to automatically adjust based on the suns’ position. They can also be integrated with third party systems, which for allows several networks to communicate and operate as one entity. For example, your lighting, thermostat and motorized shades can all be controlled together with the touch of a button.